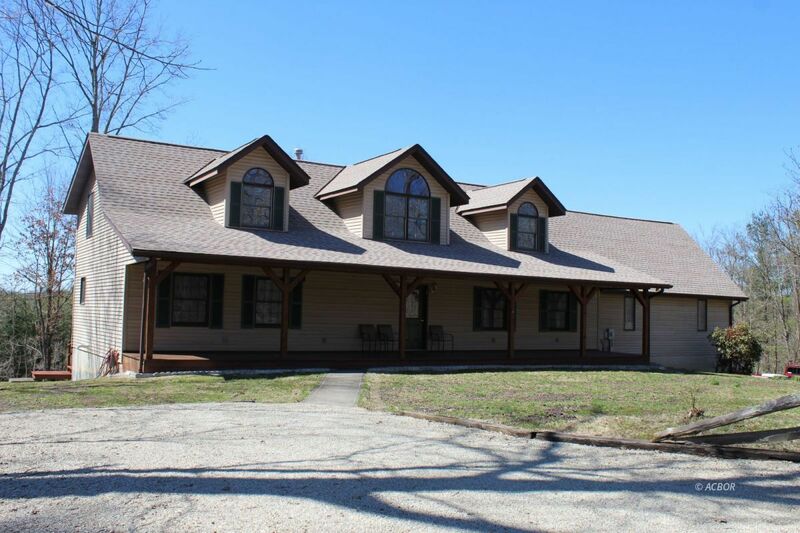 This immaculately maintained, lightly lived in, smoke and pet free home is just a stone's throw from Burr Oak State Park making it the perfect weekend getaway or full-time retreat. An impressive great room with open beams, vaulted wood ceiling, warm and a cozy wood burning stove is the place to spend your days and nights. The kitchen includes updated appliances, great work space and connects to the family room. The main level master suite has a spacious walk in closet and ensuite bathroom. Dining, half bath and laundry complete the rest of the main level. Two massive bedrooms are located upstairs with multiple closets, window seats with storage and a jack and jill bath. The full basement is constructed of poured walls with walkout access to the backyard and already has a full bathroom but the rest can easily be finished if you need to add 3700+SF of finished space already included. Roof, furnace and range were replaced in 2017 and refrigerator is new this year. The house has the infrastructure in place for an outdoor furnace to heat the home and water, just needs the actual furnace. All of this on over 10.5 acres!